Melanie represents clients in an array of litigation matters. Melanie was a summer associate at Fox. 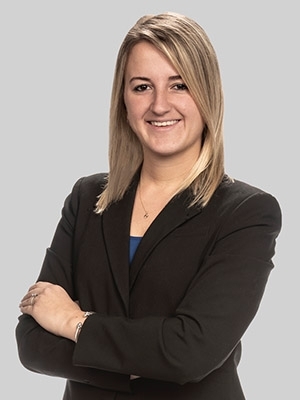 During law school, she served as a federal judicial intern to the Honorable Judge Joel H. Slomsky of the United States District Court for the Eastern District of Pennsylvania. Melanie also served as the Intellectual Property Competition Chair for the New York Law School Dispute Resolution Team during her second year of law school. In her last year of law school, she served as a student mediator where she mediated cases in Small Claims Court in New York. She was also the Associate Managing Editor of the New York Law School Law Review. Before attending law school, Melanie founded the Mock Trial Team at Fairleigh Dickinson University, Madison Campus. She was also a judicial intern to the Honorable Judge William A. Daniel of the Superior Court of New Jersey. Additionally, she worked as a legal assistant at a Northern New Jersey law firm and a legal assistant/paralegal with small bankruptcy law firm in Northern New Jersey.